One of the best things I think any of us can do is try to share our game mastery knowledge with others. 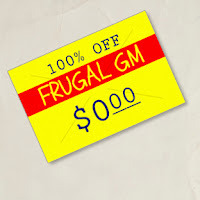 Of course I'm biased since the majority of the Frugal GM posts are exactly about sharing GM knowledge, but if you didn't agree on some level then I doubt you'd really be reading this right now. This week's free resource is a series of instructional videos put up on YouTube by and enterprising Dungeons & Dragon Dungeon Master. At the time of this posting he has 52 different videos all listed under The DM's Craft Channel. DM Scotty's videos highlight ways to make inexpensive terrain pieces for your gaming group to use. The videos can sometimes be a little cheesy, but the content is generally quite good and there are a lot of useful tips and tricks for any Frugal GM to use. Here is one video that isn't so much about the creation of a gaming tile, but an explanation on how he uses it in his game. It is one of his shorter videos for certain, but what I liked about it is that it presented a couple of new ways of using Fog-of-War on a table-top. I really like FOW in my online games and honestly I had never really considered using it at the tabletop. 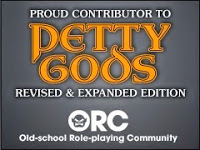 DM Scotty shows a couple of ideas that are so incredibly simple yet not something I had thought about.